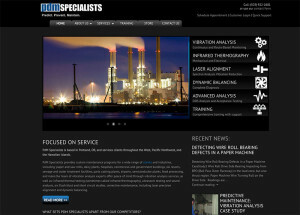 PdM Specialists’ website had a couple of different looks to it, and was relatively functional. We applied the Website Transformation Package, and, working with PdM Specialists’ staff on content and images, were able to give the site a revised look, and make it easier to navigate. In addition, the site is now responsive to smartphones and tablets, and features easy access to the company’s contact info at the top of the site. 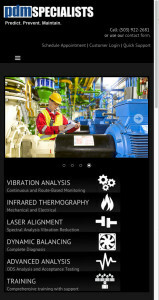 A client can make a quick call for service straight from the mobile site. In addition, we worked with PdM to build out specific landing pages that target specific regions of the country where the company is looking to expand.